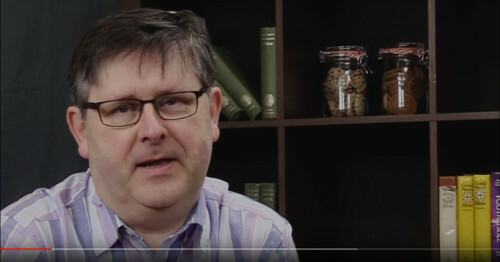 The Anglican Diocese of Leeds has reported on the Launch of #doyouknowHim? 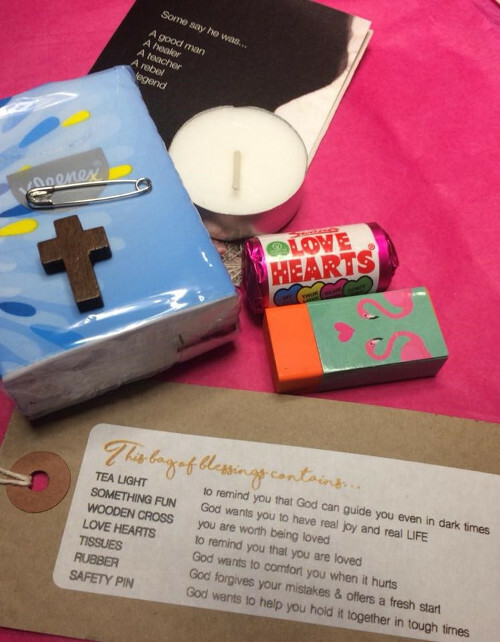 Each week, members of different churches from around Skipton will be sitting down to discuss the weeks theme after the sermon. Here's the first episodes of Church in Conversation. Morning broke – cold, wet; sleet coming down from a grey sky. The weather didn’t tempt, but off we went to join with the first #doyouknowHim? outreach activity. Pastries and a hot cuppa greeted us all, along with a warm welcome from an assorted bunch of people from the church in Skipton. Some we knew, some were new to us. Without fail we all agreed how good it was to be there together, setting out on a new adventure. 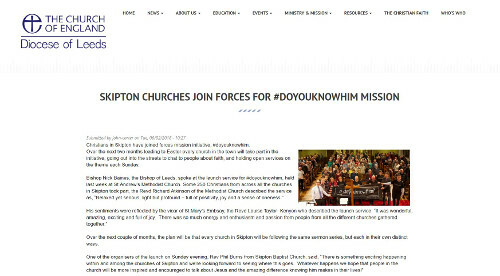 The Baptist denomination published this article online reporting on the launch of #doyouknowHim? 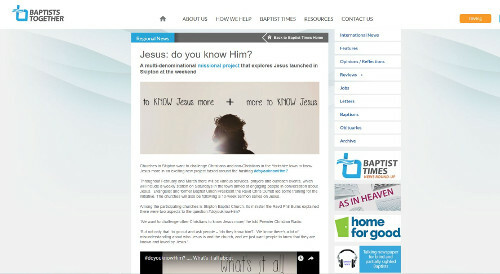 Read more: Baptist's report on the launch of #doyouknowHim? Richard Atkinson introducing us to the first week's theme of Jesus: Real and Revealed.